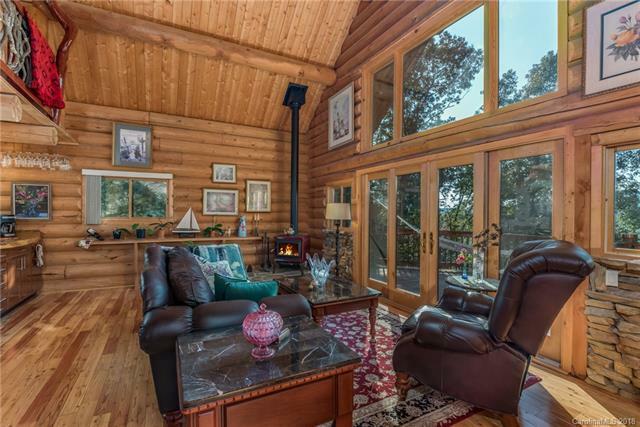 Custom log home on .97 acres with gorgeous mountain views & winter views of Lake Lanier. 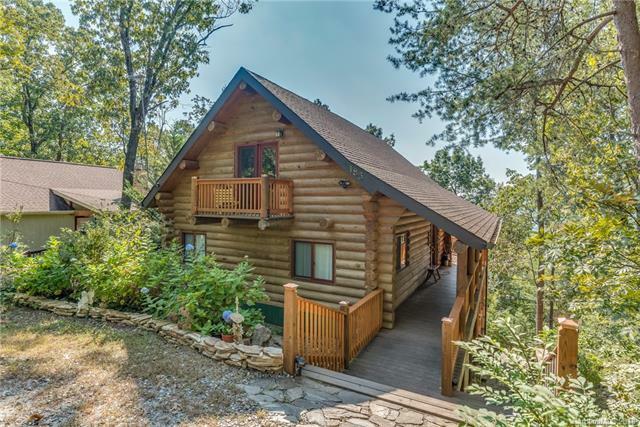 Constructed with 10" hand-hewn pine logs with Spruce perlins from Montana. 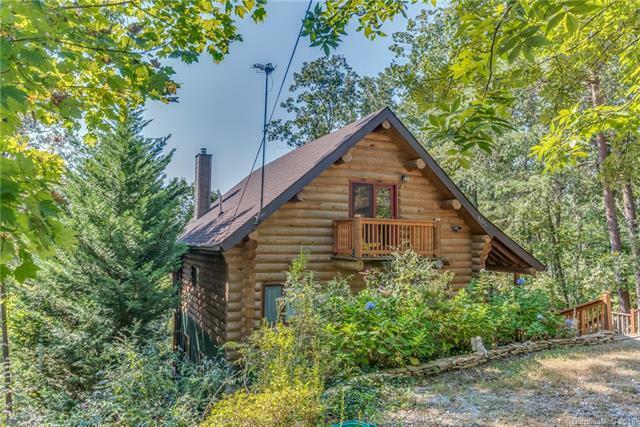 Custom features include mountain laurel handrails, hand carved bear's head on a post, live-edge maple wood countertop in the master bath & on the wine/coffee bar in the Living Room. 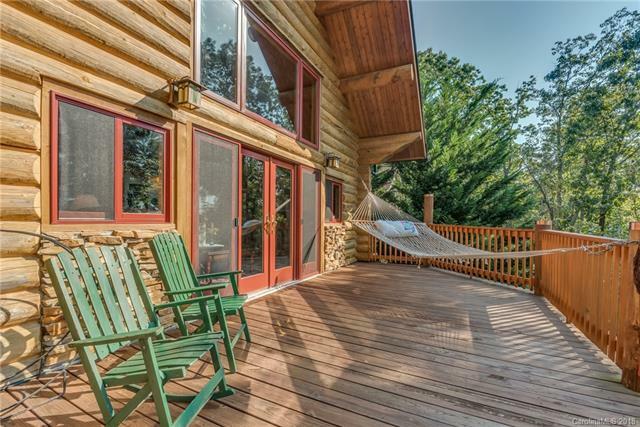 Main level includes the LR with wood-burning stove, sliding glass doors lead to the spacious deck that overlooks the landscape with apple, cherry, peach, pear & plum trees. Also on the main level is the Master with whirlpool tub, shower & artisan vessel sink. Overlooking the main level is a cozy loft with sliding doors that lead to the Juliet balcony. Lower level has a fabulous Kitchen & Dining area with granite counters, glass block backsplashes & SS appliances. Easy access to the covered deck for dining & entertaining. Guest Bedroom, BA & Laundry are also on the lower level. Basement has a workshop.